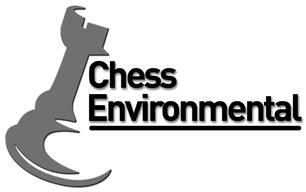 Chess Environmental Limited - Asbestos Services based in Braintree, Essex. Chess Environmental Ltd, based in Essex, offer a complete solution to all manner of Asbestos and Specialist Cleansing requirements. With over 40 years combined experience in the asbestos industry alone, we are at the forefront of our profession. Areas covered include Essex, East and Central London, Hertfordshire, Suffolk and Kent, but we are happy to provide national / European coverage for larger contracts.